When we went to Rome for our honeymoon, I remember we were ravishingly hungry and we came across a beautiful quaint panettaria where they were selling this amazing classic focaccia bread. I requested mine simply to be filled with melted cheese and tomato and what a great choice. The focaccia sandwich was soo delicious. The tomatoes in Italy are really quite something else with this moist, soft airy bread! I was in heaven! 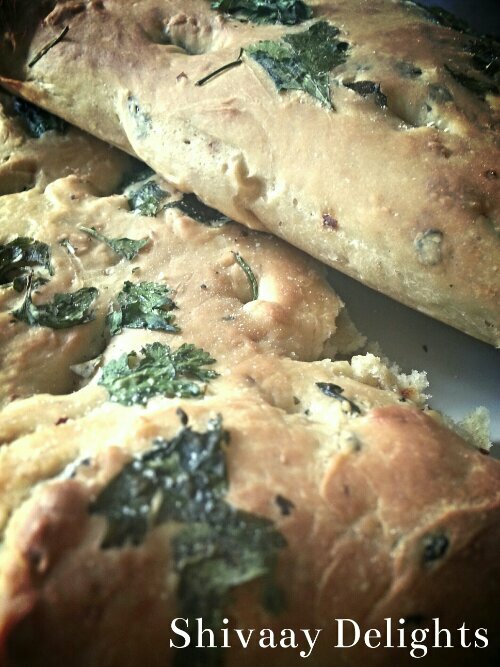 I’ve made focaccia once before with rosemary but this time wanted to mix up the flavours a little. 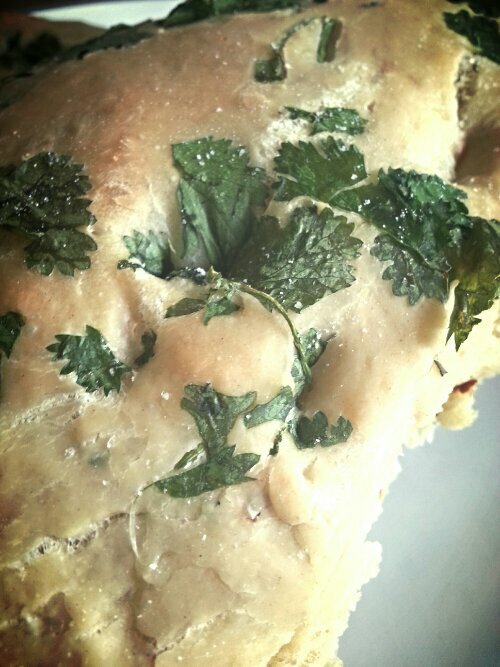 As you know from past posts I love chilli and wanted to give this loaf a little heat plus the aroma of coriander really carries this wonderful bread. 1. 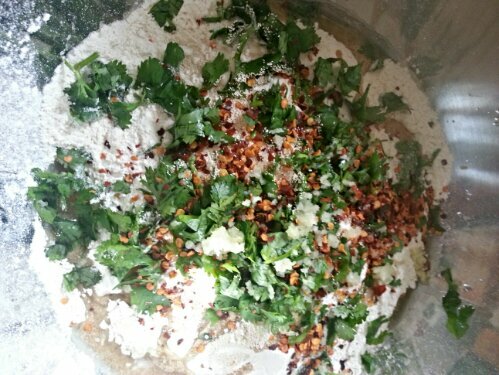 In a large mixing bowl, combine the flour, yeast, salt, olive oil, coriander and chilli seeds. 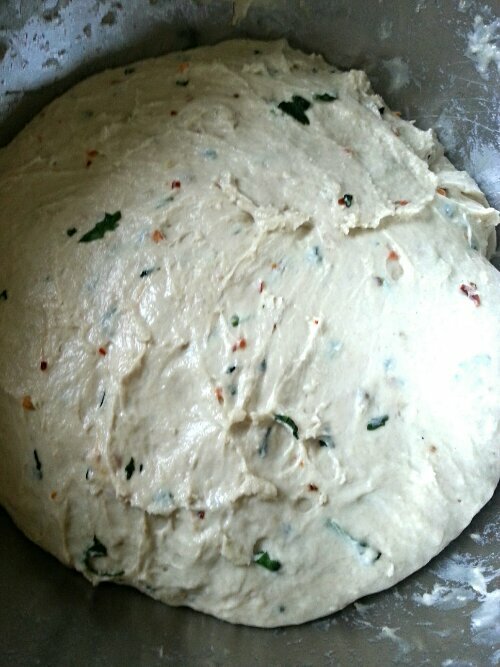 Pour in the water a little at a time and with a wooden spoon or yours hands bring the dough together. It is a wet sticky dough so don’t be alarmed and do not add any extra flour. 2. 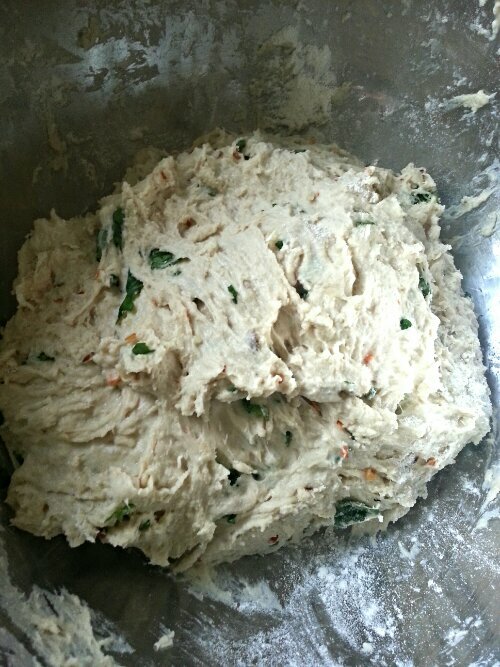 Knead for 5 minutes and then add a little olive oil to your hands to avoid sticking. 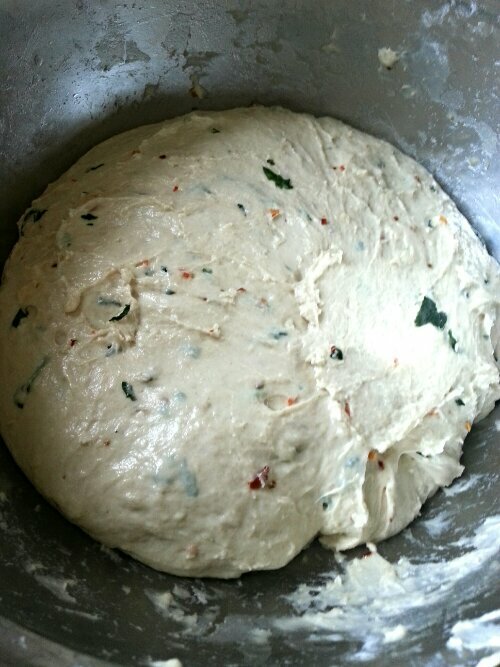 Work the dough by stretching the edges of it to the centre, repeat for 5 minutes. Oil the base of the bowl and knead for a further 5 minutes. 5. Leave to prove the loaf for 1 hour. Preheat the oven to 220ºc/425ºf/gas mark 7. Once proved drizzle olive oil on top and sprinkle a little sea salt. Bake in the oven for 20-25 minutes until golden brown. Serve warm with some butter! Beautiful. I made some a day ago but used traditional Italian herbs. I made it more thin for a bread and dip appetizer. Was gone at the party in no time. Your experiment had tempered me to experiment with Indian herbs this time. Thanks for sharing. Wow, this looks amazing! Focaccia is one of my favorite breads. Bookmarking this recipe–thanks for sharing! Looks delicious and what a beautiful flavour combination! 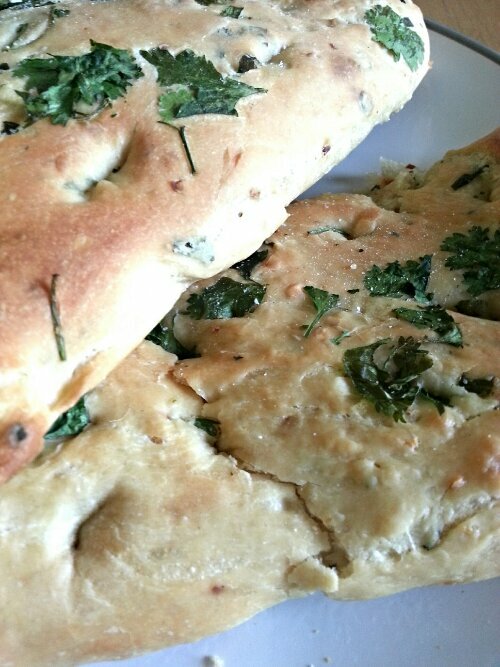 What a fantastic idea for focaccia and coriander if my absolute favourite herb. Have a lovely day and thanks again for stopping by my blog. Foccacia is my favorite. I love it with roasted tomatoes and herbs. 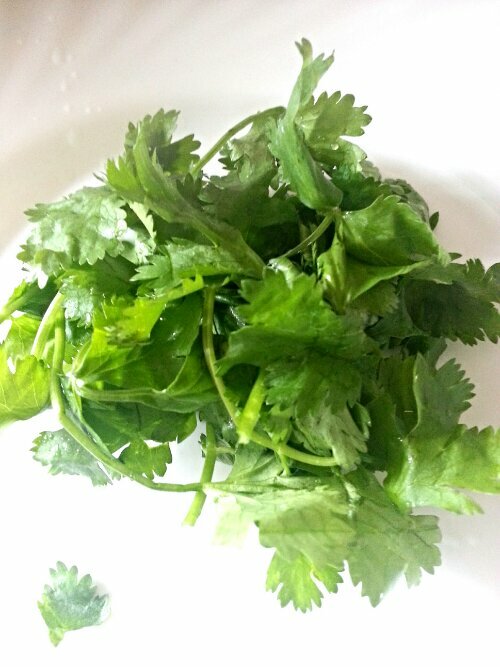 But I have never tried coriander, chili and garlic before…but I love all of these three ingredients. I have to make this….. it looks so heavenly good! All the ingredients in this Foccacia are flavoursome. My daughter likes savoury food and let me surprise her with this. I made this last week and it was loved so much that I made it again over the weekend!I made a slight addition of a few chopped up sundried tomatoes. Thank you Dimple! Beautiful bread! This is almost Mexican-Italian fusion with the use of cilantro (coriander) and the chile (jalapeño). I love focaccia. It sounds like you have lovely memories of your honeymoon, as you have mentioned it in a few posts – I bet Italy was JUST amazing!!!! Just what I want to eat right now! Yum! 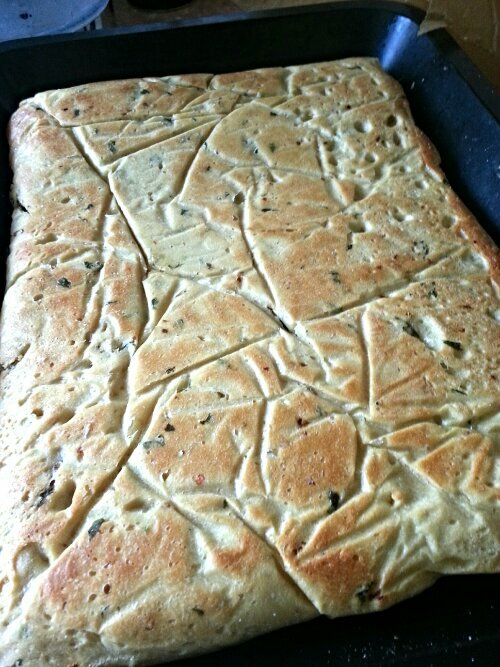 Focaccia is on my “to make” list! Aww fantastic! Thank you so much. I hope you enjoy it. Please do post or email some pictures to me. Will be lovely to see x which soup have you made? looks yummy – coriander is an interesting addition! 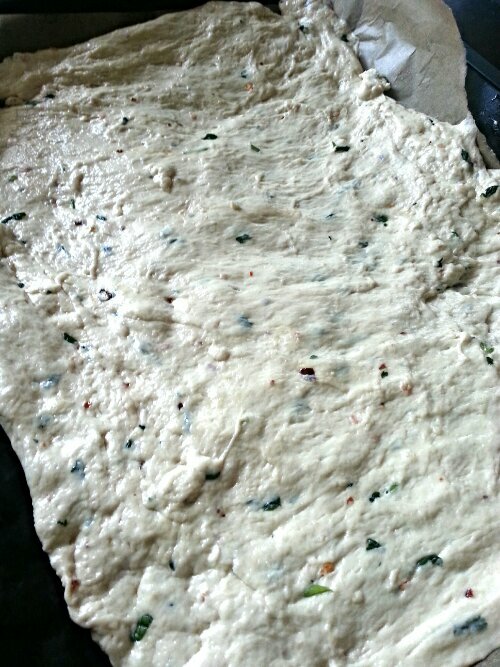 Gorgeous focaccia. 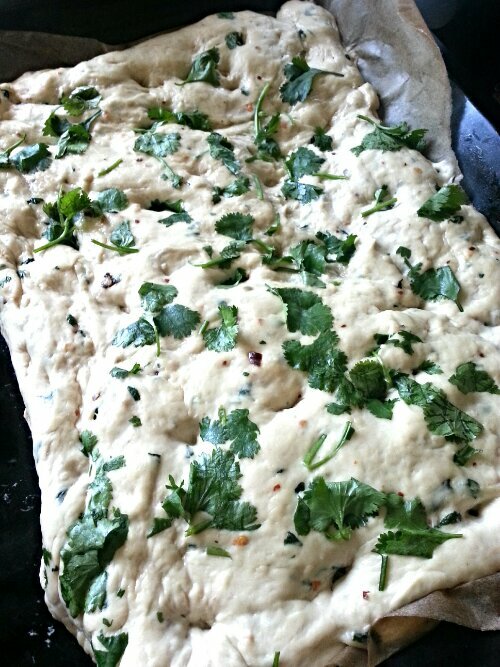 And love the fusion twist with the addition of coriander. 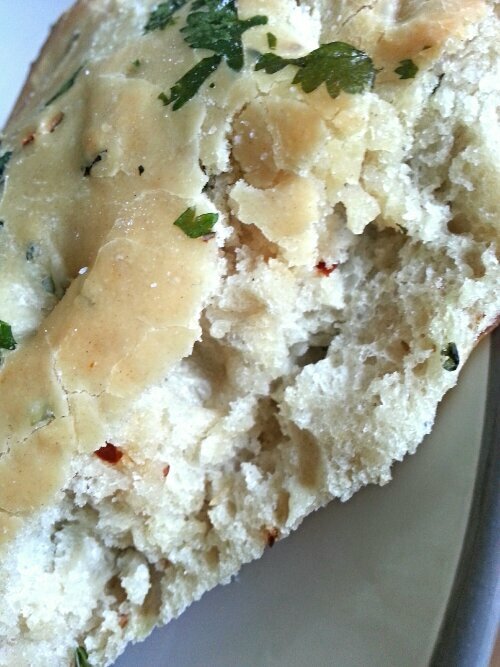 I really like that you added coriander and chili flakes to the focaccia…it sounds great. The pictures already looked lovely, but knowing it was inspired by your honeymoon….aah! !